Man’s best friend has done their part to assist humanity in protecting the public for centuries. While initially assisting in ancient hunting and protection, dogs were eventually used during times of war. 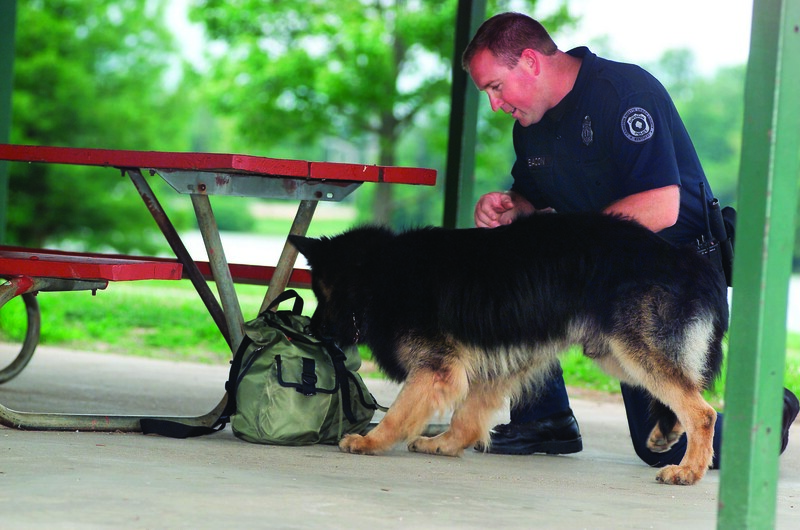 The use for these creatures evolved over the years leading to a wide variety of uses in public safety including law enforcement, firefighting, and military. There is a rich history of partnership between these loyal animals and people and how it has evolved, and it certainly deserves appreciation. Ancient Grecian, Egyptian, Roman, and Persian civilizations were the first to use dogs during times of war. While some were only used as scouts or sentries, many would be taken into actual battles. The actual uses of the dogs during a battle changed dramatically based on the army using them. For example, in early Grecian warfare the dogs would be released before the armies would clash which would cause the opposing side to break ranks, soon to be followed by the dog’s army on horseback to make short work of them. In another war, the Persian king, Cambyses II, used dogs as psychological warfare during an assault on Egypt by placing them on the frontline as to take advantage of ancient Egyptians religious reverence for animals. Even during the last century dogs were used during times of war; during both World Wars as message carriers and attack dogs. Dogs have been used for law enforcement since at least the Middle Ages. Money was then set aside in the villages for the upkeep of the parish constable’s bloodhounds that were used for hunting down outlaws. Bloodhounds used in Scotland were known as “Slough dogs”, as they could use their keen tracking abilities to pursue criminals through the difficult to traverse Scottish bogs and marshes, or sloughs. This method of tracking led to the word “Sleuth”, meaning detective, and coming into common usage. The rapid urbanization of London in the 19th century caused a massive increase in law and disorder – a problem that was far too great to be dealt with by the existing law enforcement of the time. As a result private associations were formed to help combat crime. Night watchmen were employed to guard premises and many of these individuals were provided with firearms and dogs to protect themselves from the criminal elements. 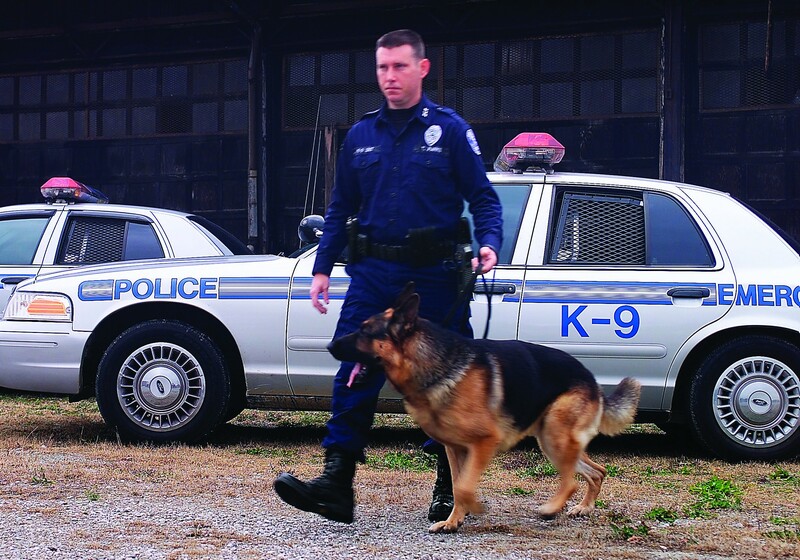 In the modern day, police dogs, commonly called a “K-9”, are used for search and rescue or the detection of drugs, explosives, or cadavers. Each breed of dog exhibits unique talents and characteristics, with some being more suited for certain roles. Bloodhounds are often used for their excellent sense of smell, and are therefore used to sniff out criminals or illegal items. 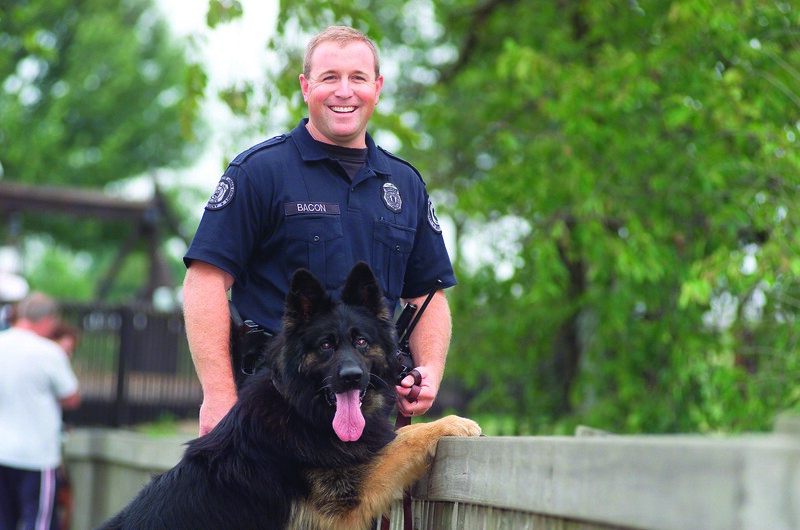 German Shepherds are used in law enforcement because of the variety of tasks they can be trained for as well as how widely available they are. Dalmatians are perhaps best known for their role as fire-fighting apparatus escorts and firehouse mascots. Fire engines were originally drawn by horses and since Dalmatians and horses are very compatible, the dogs were easily trained to run in front of the carriages to help clear a path and quickly guide the horses and firefighters to the fires. Dalmatians are considered to make good watchdogs, and they were useful to fire brigades as guard dogs to protect a firehouse and its equipment. Fire department horses were fast and powerful, a tempting target for thieves, so Dalmatians were kept in the firehouse as deterrence to theft. Today Dalmatians are still kept around firehouses mostly out of tradition, and other various breeds of dog have also been used. This is only a small sample of the history dogs have had in public service with humanity. Their variety of skills, ability to be trained, and overall loyalty to humans make them not only excellent companions but also partners. Here’s looking to the next couple centuries and how our relationship with these creatures will continue to evolve.